The inauguration ceremony for AMIT was held in mid-December, 2016 (photo courtesy of UDN.com). A joint venture founded by five Taiwanese companies from different industries, AMIT is set to help boost the development of intelligent motors and the electrical engineering industry in Taiwan. The five founding companies of AMIT are Taya Group, a conglomerate of electric wire and cable businesses; Mobiletron, a major supplier of spare parts for engine management and vehicle safety system products; Cadmen, a simulation and CAE (computer aided engineering) software developer; Lutron, a producer of motor production and testing equipment; and UMEC, a maker of electronics and ICT parts and components. Few would question that market prospects of intelligent motors are increasingly bright. For reasons, the rise of such advanced products as robots, medical assistive devices and drones, which all require intelligent, energy-efficient motors to produce, has become a major driving factor among others. 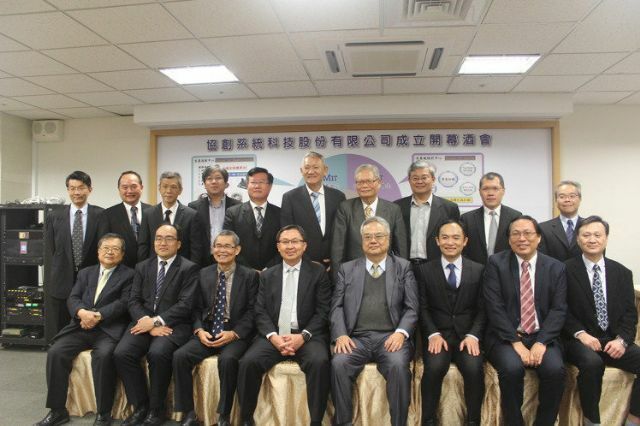 Coincidentally, as the government in Taiwan has actively promoted the development of smart machinery and the so-called “Asia Silicon Valley” over the years as a means to upgrade local industries, ever more Taiwanese companies have been inspired to work on R&D for innovative technologies and related applications, to which reliable power sources with high energy efficiency are key. Furthermore, the trends fueled by global governments for energy conservation and carbon emission reduction have also contributed to technological advances in the motor industry. In this scenario, Shen Shang-hong, chairman of AMIT, noted that the company will serve as a global system design center for the electrical engineering industry, to provide integrated designing and consulting services mainly revolving around subsystem development, testing and certification, manufacturing technology research and development and cloud. Given the business scopes mentioned above, Shen stressed that the name of the joint venture has an underlying meaning: the A-team of MIT (made-in-Taiwan). In the future, AMIT will be dedicated to assisting its customers to design, develop smart factory technologies and introduce those into production, to help shorten production time, lower costs and enhance efficiency and performance. While considering providing consultation on regulations for energy conservation, environmental protection and safety, it will also take advantage of its cloud service platform to aid local manufacturers to build positive links with customers worldwide. General Manager Wu Jian-yu of AMIT emphasized that of the four letters in the company's name, “M” and “A” stand for motor and advanced, respectively, which underscore the firm's aspiration to lead the Taiwanese electrical engineering industry to higher-end segments of the global market and help local motor makers in the face of the emergence of China's “Red Supply Chain” to achieve sustainable development.